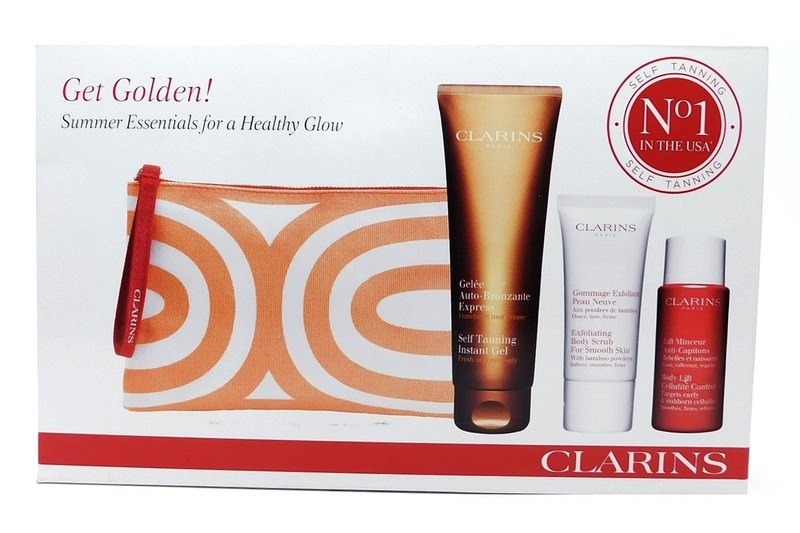 Clarins DIY Tan Way to Glow! 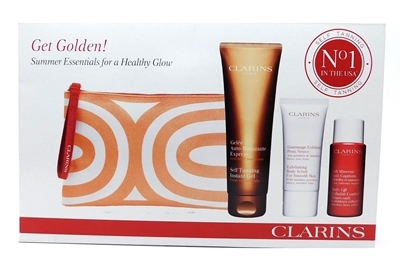 Set: Self Tanning Instant Gel 4.5 Oz., Exfoliating Body Scrub for Smooth Skin 1 Oz., Body Lift Cellulite Control 1 Oz., bag Clarins Men Line-Control Cream Dry Skin 1.7 Oz. Clarins Auto-Bronzant Tinted Self Tanning Face Cream SPF 15 1.7 Oz. Clarins Multi-Active Day Early Wrinkle Correcting Lotion SPF15 1.7 Oz.